The global label industry has undergone significant changes in recent years: globalization, digitization, environmental sustainability pressures, workflow automation, changing consumer demand and expectations, profitability concerns, and problems of recruitment and training. Each new and growing challenge impinges on converter performance, return on investment, knowledge and skills requirements, and much more. Managing a label plant, or multiple plants, seems to get ever more complex. So what can the global label industry expect over the next 10, 20 to 30 years? To begin to find the answers it is interesting to look at some of the major world economic and mega trend forecast studies, such as that produced by PwC (PricewaterhouseCoopers LLP) – The World in 2050 – and other global forecasters. Perhaps the first thing that stands out from such studies is that the global population is expected to rise by more than one billion over this period. That’s an awful lot of food and medicines that will need to be marketed, packaged, labeled and sold. Some 97 percent of this population growth will come from Asia and Africa, and the fastest population growth segment will come from the over 65s. Population growth will undoubtedly bring growth to the label and package printing sectors of the global economy. However, that in turn will significantly increase pressures on finite raw materials and on energy resources, with the consequent need to raise recycling and re-use rates, further improve production efficiencies, reduce wastage, and The global label industry of the future | 31 find new and better ways to package and identify goods for, particularly, consumer consumption. All these pressures can be expected to continue – becoming increasingly important as each year progresses. Having said that, the overall world population continues to grow rapidly, that is not actually the case with almost all the OECD countries in Europe where populations are declining (although the UK and France are broadly static), and there is an ageing workforce that will be expected to work longer before retirement. The USA, Japan and Russia are also seeing declining or slow population growth. Declining population growth provides its own challenges. 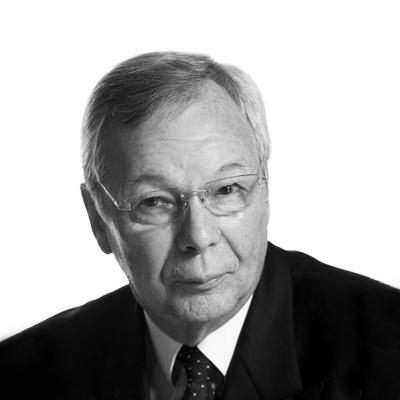 Young workers with IT, digital, Internet of Things, Cloud computing, social networking and other advanced communications skills do not currently see the label industry as an attractive vocation, while we have an ageing industry workforce that is largely challenged by the advanced IT, digital and computer skills that will be required for future growth. Growing IT and communications department resources will be a necessary part of the industry’s future. Solutions to these issues suggested by PwC include the opening of training and apprenticeships to older workers, and considering the possibility of reverse mentoring in which older workers are able to learn new digital and IT skills from younger colleagues. 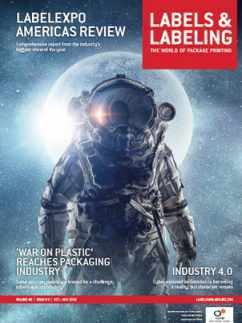 Certainly, the ability to connect ‘things’ to the internet and each other will continue to transform whole areas of the label industry in the coming years (but maybe also make it more accessible to cyber-attacks). The ongoing role of the Label Academy’s books and masterclasses would also seem to be a valuable support system. The general trend in declining working age populations, slowing birth rates, relatively stagnant productivity and slower overall economic growth found amongst the advanced westernized nations of North America, Canada, Japan, Australia, western Europe and Russia means that they are all slowly sliding down the rankings of world economic powerhouses. This trend is forecast to continue. China has already overtaken the US to become the world’s largest economy, while India is also expected to move above the US by 2050. Only Germany amongst the western European countries is forecast to even remain in the world’s top ten economies. Eastern Europe is expected to remain much as it is now. So where are the new growth opportunities coming for the main, increasingly global, label groups and industry suppliers? Where are the rising economies of the future where we should find sustained, buoyant or good economic growth, impressive GDP growth and high population growth? 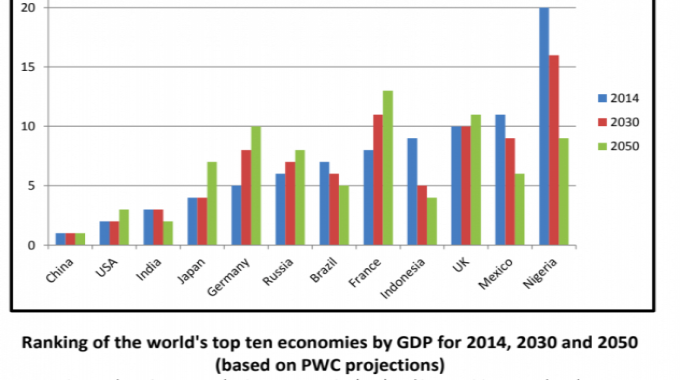 Brazil and Indonesia have already moved into the top ten global economies, while Mexico is only just outside. All of these will continue their rise into more powerful economic positions, with Indonesia forecast to rise as high as the world’s fourth largest economy by 2050, Brazil to fifth and Mexico to sixth. Other fast-growing economies include Thailand, the Philippines, Malaysia, Bangladesh, Pakistan and Egypt, with Vietnam seeing the fastest growth and rising from 32nd in the world to 22nd. As for Africa, Nigeria is undoubtedly the fastest-growing economy in the region (likely to move into the top ten global economies by 2050), while South Africa can look forward to long-term sustained growth. All these growth economies are where global brands will find good product and market growth for the future, and increasingly establish manufacturing bases – in turn requiring ever more sophisticated labels and packaging. Growth in these new emerging markets will initially come without the pressures on raw materials, energy, sustainability and an ageing workforce that the advanced westernized countries are currently facing, and will be attractive markets for the major international label and package printing groups. Global long-term GDP growth is currently forecast to continue at around three percent per annum, with the advanced economies achieving growth rates of nearer one or two percent, and the emerging economies, depending or region, as high as four, five, six or seven percent. Traditionally, the label industry has performed at a few percent above GDP, which would give the industry’s worldwide growth prospects over the next 20 or more years of around three to five percent. While the emerging economies can expect good long-term volume growth, the traditional advanced economies will need to continue looking for value growth and production and workflow efficiencies, as well as meeting ever more demanding environmental, energy and waste pressures. The western label converter of tomorrow will undoubtedly be working differently, doing different things and liaising with customers in different ways. Increasingly they will need to think of themselves as technology – or perhaps more specifically – software enabled businesses. 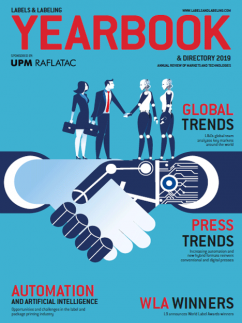 This brings us back to establishing what kind of skills, knowledge base and workforce the label industry will require in the fast-changing world of tomorrow. There is no doubt that IT skills, digital, computer and communication skills will need to be somewhere near or at the top of the list. 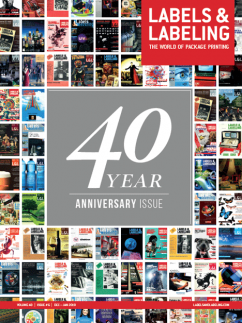 The industry can already see the impact that digital technologies have made on both label and package printing, but we’re still only near the beginning of this revolution. Can we expect digital direct printing of bottles, jars and cans to supersede labels? It’s a possibility. The questions for label converters in the current advanced economies is how do we attract (and keep) the right kinds of workers for the future, how do we go about training them, and how do we develop the software and digital enabled label businesses for the future if we do not want to be left behind in the global economy? It is already a fact that many of the emerging economies, which have a young, well-educated workforce, are already adopting the more advanced and sophisticated label technology advances as fast as – in some cases even faster – than the current most developed markets. Frequently they are also jumping technologies and generational skills to become global leaders in label quality, performance and innovation. Indeed we already see this occurring in the various label awards winning entries. 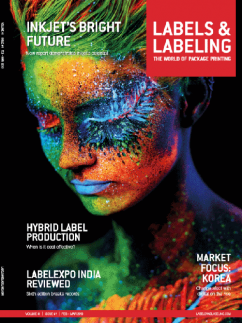 We need to bring the label industry into a future fit for the challenges and opportunities of tomorrow, able to attract the best workers and skills, work in the fast-changing IT, digital and communications arena, and evolve to meet the requirements of the mid-twenty first century world of label production and usage. Are we ready for these challenges?